Founded in 1630, Boston is one of the oldest cities in the United States. Nowadays it is considered a world leader in innovation. The city has been nicknamed the ‘Athens of America’ due to its literary culture, and is known throughout the United States for its intellectual enlightenment. Boston also has an enormous sporting culture, and watching a world-famous Boston Red Sox game at Fenway Park is high on the priority list of tourists looking to sample that all-American lifestyle. When you’re not cheering along the baseball team, why not head over to Copley Square? Here you’ll find some handsome historical architecture that takes the city back to its classical roots. Food-wise, the seafood in Boston is world-famous. The city is renowned for dishes like ‘Sacred Cod’ and ‘Fresh-Steamed Lobster’, and you can eat these delicious meals whilst overlooking the beautiful Boston harbour. Flights to Boston are easy to come by, and if you book at the right time you can get a great deal. Here at Travelbag, we have 30 years experience in booking Boston holidays, and our range of hotels in this exciting city has been specifically tailored to suit a wide range of travellers - whatever your budget. Whether it’s a cheap Boston hotel you’re after, or one of the most luxurious hotels in the city, Travelbag has you covered. Our selection of Boston hotels range from modern three-star accommodation to lavish five-star hotels, so you’re bound to find the perfect one for you. 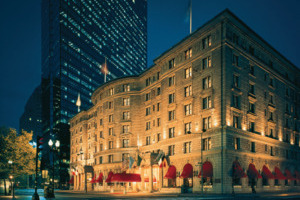 If you want to stay in Boston but don’t want to break the bank, then consider the Boston Park Plaza Hotel. Here you’ll get to stay in the heart of the city in one of 1,054 comfortable and stylish guest rooms. If you want to stay in one of the best hotels in Boston during your 2019 or 2020 holiday, then The Langham could be the one for you. This five-star downtown hotel features 318 lavish guest rooms and is located just minutes from some of Boston’s most popular attractions. As one of America’s most exciting cities, Boston features a wide range of things to see and do. It would be impossible to fit everything into one visit, and forward planning is essential. Here are a few key places to see in Boston. Fenway Park - Even if you’re not a baseball fan, it’s worth going to see the world-famous Boston Red Sox play at Fenway Park. Copley Square - Here you can immerse yourself in the culture of The Athens of America. The stunning architecture is enough to take your breath away, and the Boston Public Library makes for a great photo opportunity. Walden Pond - If you want to escape the hustle and bustle for a while, Walden Pond is a great place to get back to nature and experience some calm. Museum of Fine Arts - Since it opened its doors in 1876, this museum has been popular with tourists and locals alike. It features lots of classic and contemporary exhibitions and is a must-see for history buffs. However, you choose to spend your 2019 or 2020 holiday, find your perfect Boston hotel with Travelbag. Here is just a selection of our favourite and cheapest hotels in Boston. Please use our search panel above to find your perfect choice. Claiming one of the city’s most enviable locations, the Boston Park Plaza Hotel invites both leisure and business travellers alike to revel in a world of comfort, style and service whilst also enjoying the many sights and sounds of one of the United States’ most historic cities. Situated close to ... a number of local hotspots, those looking to discover the enriched culture of the city are sure to appreciate the proximity to many of the most renowned landmarks, least of all Boston Commons which sits across from the hotel with Faneuil Hall Marketplace and the Theatre & Financial Districts a short distance away. The hotel itself houses everything a guest could need, from modern facilities and numerous dining venues to one of the 1,054 lavish accommodations that help create a haven of bliss for those seeking a memorable city vacation. 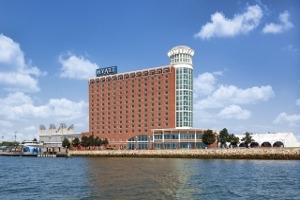 The sophisticated Hyatt Boston Harbor is a sumptuous hotel where comfort and style come together to bring the very best of Boston living to each and every traveller looking to discover the sights and sounds of this culture enriched city. The conveniently located hotel presents guests with the opportunity to ... discover the wonders peppered around the stunning Boston Harbor and its neighbouring districts, while the numerous in-house facilities range from the soothing to the energising to ensure a satisfactory visit even the most discerning of guests can appreciate. Opulent settings and elegant decor are just some of the treats that await travellers, with the hotel dining venue and each of the fully fitted accommodations rounding out this fantastic holiday getaway. 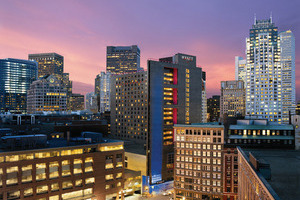 Boston's trendy Back Bay area is the home of the retro-style Midtown Hotel. With the Boston T public transport on the doorstep, the hotel is convenient for all of Boston's attractions and is also just steps away from the Prudential Center shopping complex and Massachusetts Avenue. A short walk will ... bring you to the shops of Copley Place and the many boutiques, bistros and galleries on Newbury Street. 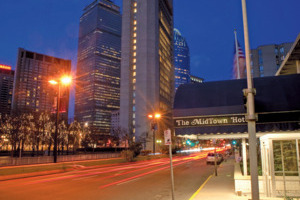 After a day out and about, the Midtown offers guests a clean and comfortable base in a quieter area of the city. Its friendly staff are always keen to help and, with plenty of bars and cafés close by, it makes an excellent choice for anyone seeking well-located and yet affordable Boston accommodations. Serving not only as a comfortable and stylish holiday haven in the city of Boston, but also as a bookend to the shops and outlets of the Prudential Centre Mall, the Sheraton Boston welcomes any and all guests to discover the sights and sounds of this cultural city where historical ... charm combines with modern elements to entice even the most avid of explorers. Located only a short distance from such local landmarks as Copley Square, the Charles River, the Museum of Fine Arts or Fenway Park, the hotel is a great base from which travellers can truly experience the wonders of Boston, while the hotel itself strives to appeal to all those seeking to relax in peace, with numerous facilities on hand, several in-house dining options and a total of 450 accommodations that all come together to make the perfect setting for a memorable time spent in this wondrous city. Nestled amidst the wonders of downtown Boston, the Hilton Boston Downtown/Faneuil Hall is a modern getaway that soars high into the sky, piercing the cityscape and taking its place alongside other local landmarks as an iconic hub that welcomes all. The intricately designed hotel features plenty of comfort and style, ... brandishing a distinct Art Deco decor to coincide with the lavish settings throughout to ensure traveller satisfaction. Guests are more than welcome to explore their surroundings, with the hotel ideally situated close to many of Boston’s most significant hotspots such as Faneuil Hall Marketplace, Quincy Market and the Waterfront, while the in-house features the hotel houses along with the in-house dining venues and each of the lavishly fitted accommodations set the tone for those simply looking to relax, so whether it’s for exploration purposes or simply to unwind, this hotel is sure to please. 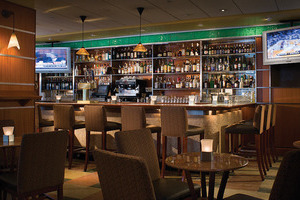 The Hyatt Regency Boston is a modern hotel located in the downtown district of the city of Boston where business and commercial outlets meet for the benefit of both business and leisure travellers. The hotel is located mere steps from many city highlights, such as Boston Common, Fenway Park and the ... cultural Theatre District, all easily accessible by guests looking to explore the historical city. The hotel styles itself using lavish furnishings and contemporary decor all throughout its complex, with the numerous facilities and each of the elegant dining venues setting the tone for a high grade holiday experience. Featuring a total of 498 guestrooms and suites, each individually designed for total comfort and peace, this hotel serves as the ideal getaway destination for any traveller looking to indulge in the wonders of Boston with style. Standing as a symbol of historical significance within the bustling city of Boston, the Omni Park House exudes a level of old-world charm unlike many other establishments, but combines these traditional aspects with modern day comforts and luxuries to ensure a memorable time for any and all travellers to enjoy. ... 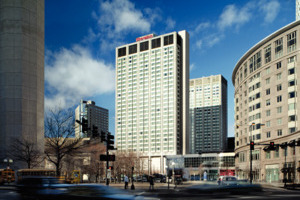 Located in the enviable setting of central downtown Boston, the hotel allows for easy access to several city highlights dotted throughout the area such as Boston Common, Quincy Market and Faneuil Hall Marketplace, but also happens to be set along the iconic Freedom Trail for visitors to discover. 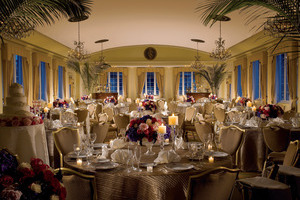 For those looking to ease back and enjoy some peace and quiet, the hotels stylish settings should prove to be a great place for relaxation purposes, and with so many facilities on hand, in-house dining venues and numerous accommodations to appeal to a variety of guest types, this hotel strives to bring the very best of Boston to the forefront of any holiday. The warm and welcoming Nine Zero serves as a boutique hotel located deep in the downtown district of Boston, conveniently adjacent to Boston Commons and many other local landmarks all waiting to be discovered by any and all visitors to this historically enriched city. Lavishly designed with modern overtones while ... retaining a sense of historical culture, the hotel strives to bring all the comforts and conveniences of a world-class holiday establishment together to ensure a memorable time for all, while the close proximity to such iconic hotspots as Beacon Hill, the Financial District, Quincy Market, Back Bay, Chinatown, and the Boston Waterfront should appeal to even the most discerning of explorers. The hotel itself hosts a swath of facilities for guests to get to grips with along with 190 guestrooms and suites to choose from, making this the perfect holiday haven for adventurers or those simply looking to relax. 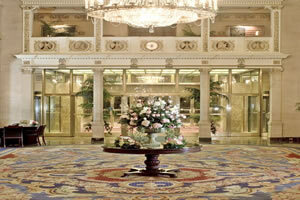 Located in the centre of Boston’s historically enriched sector of Back Bay, the Fairmont Copley Plaza is a luxurious hotel getaway where the sights and sounds of Boston can be enjoyed and experienced by any and all visitors while also revelling in a magnificent setting filled to the brim with ... comforts and amenities. Located mere steps away from such local highlights as the Boston Public Library, Beacon Hill and the iconic Freedom Trail, guests are welcome to indulge in the deep culture of the surrounding cityscape, while those looking to simply ease back in comfort are sure to appreciate the numerous facilities, the in-house dining venue and each of the 383 elegantly designed guestrooms and suites that individually serve as private havens for even the most discerning of travellers to enjoy. Located in the pretty neighbourhood of Back Bay, the Hilton Boston Back Bay Hotel is ideally positioned for guests to explore this historic and beautiful city. Boasting 390 well-appointed and modern guestrooms, many of which enjoy cityscape views, Hilton Boston Back Bay Hotel complements its splendid location by offering generous ... facilities, including a state-of-the-art fitness facility and the Forty Dalton restaurant, which serves acclaimed New England-style cuisine. 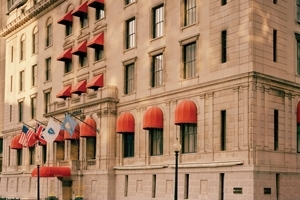 Hilton Boston Back Bay Hotel is located just a short distance from Boston’s Logan International Airport. 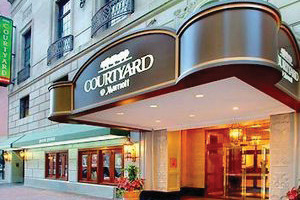 Ideally located in downtown Boston near both Back Bay and the Boston Theatre District, the Courtyard Boston Downtown brings a world of comfort, style and convenience to each and every traveller seeking to immerse themselves in the splendour of this historically enriched city. Lavishly designed with black and white marble ... interiors, and boasting plenty of space for guests to enjoy, the hotel sets the tone for a great holiday experience, also granting use of several facilities and a casual dining venue to ensure satisfaction from start to finish. 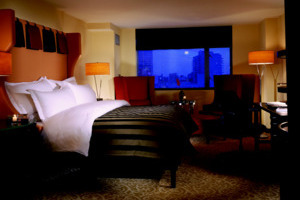 For those looking to explore, the close proximity to such local landmarks as the Wang Centre for Performing Arts, Boston Opera House, Shubert Theatre and Charles Playhouse to name but a few are sure to be a welcome bonus, and after a day of exploration or relaxation, nothing comes close to the peace and comfort of one of the 315 accommodations, making this a great holiday haven deep amidst the wonders of Boston. Boston’s distinguished downtown hotel, The Langham is a sophisticated high quality hotel that holds a torch for traditional levels of comfort and charm combined with modern amenities and warm service that truly sets it apart from other hotels. The hotel strives to create a memorable setting filled with both quantity ... and quality, from the exquisite dining venues to the rejuvenating spa treatments and beyond, with each of the 318 guestrooms and suites fully furnished with lavish decor and the best amenities to ensure total relaxation for even the most discerning traveller. 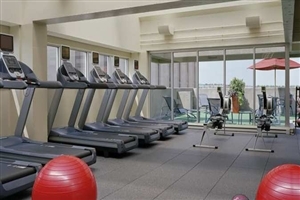 The hotel is ideally located mere minutes from many of the city’s attractions, encouraging exploration of the cultural commune while the hotels own facilities and lounges offer an alternative for those simply looking to kick back and take in the casual ambiance of the Boston lifestyle.